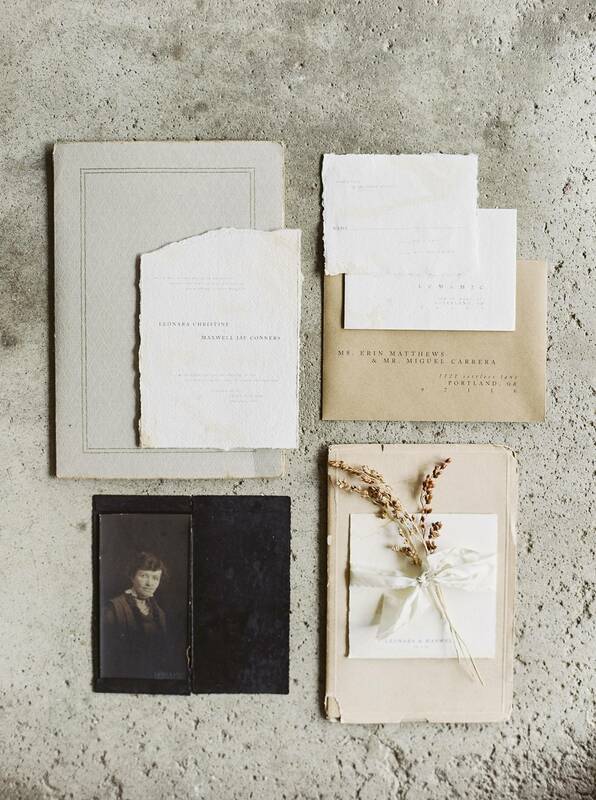 This beautiful and elegant editorial by JENNY HAAS features in the current edition of MAGNOLIA ROUGE MAGAZINE and is one of our favourites! From the stunning florals by EVE FLORAL CO. to the amazing paper goods by SCRIPT & VINE and an absolutely stunning gown by CLAIRE PETTIBONE it really has it all! 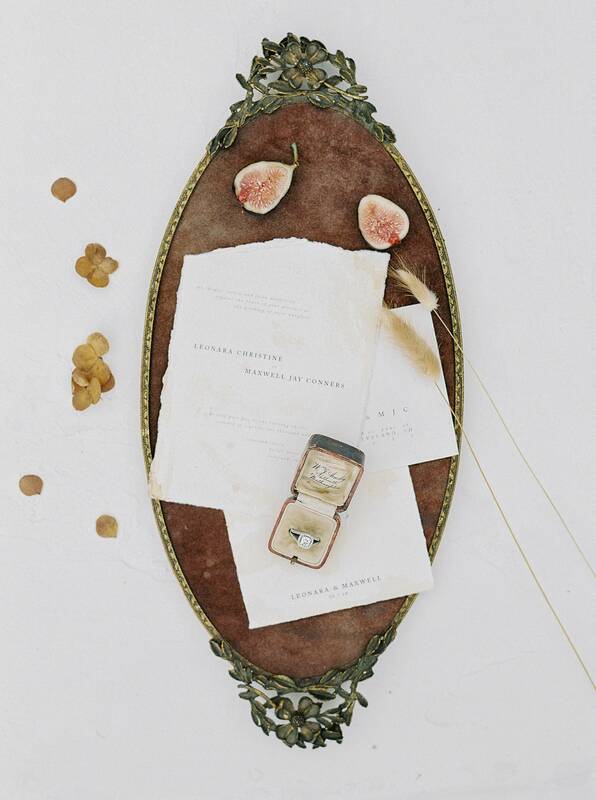 Pulled together by stylist SAMANTHA JOY EVENTS it's the perfect inspiration for a timeless fall wedding. Jenny tells us, "The quaint landscape and architectural design of Laurel Court, located in Cincinnati, Ohio, was the perfect backdrop for this old world autumn-inspired wedding session. The high neckline, long sheer sleeves, and delicate lace of the CLAIRE PETTIBONE gown added antique charm. Rarely do you see bolo ties in fashion, and they made an eccentric addition to the gown, which was paired with a black tuxedo for a formal feel. 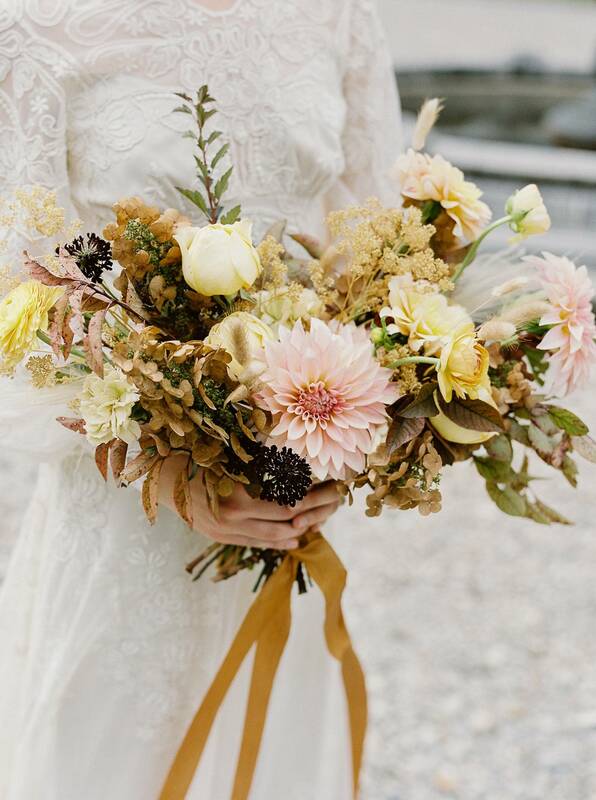 Eve Floral Co. designed the floral arrangements based on a fall colour palette of mustard yellow, tan, cream and hints of pink to soften the look. 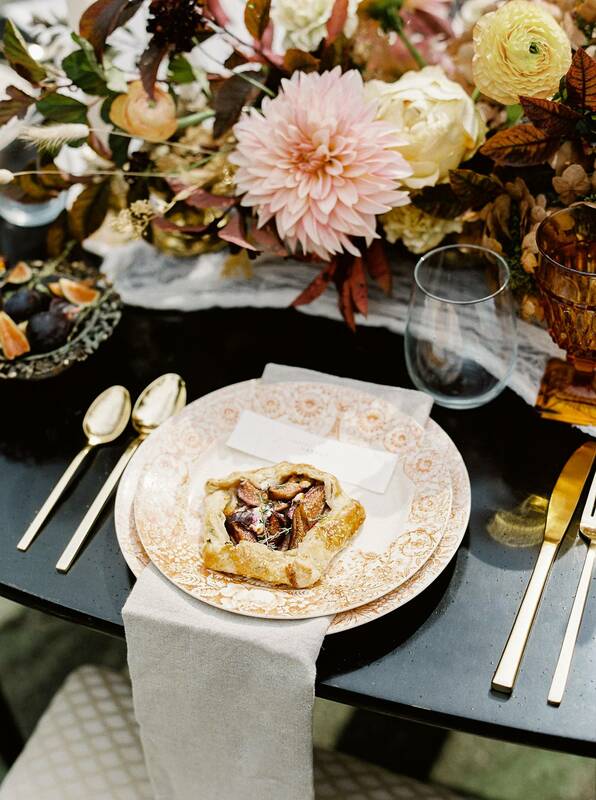 The plates were from an antique mall and were adorned with fig and pear galettes from the Canteen Bakery, accompanied by rustic flatware and linen napkins. The black table provided a stark contrast to the softness of the florals." Timeless, inspiring, gahhh! I'm grateful to call several of these talented creatives my friends. Amazing work, everyone! Miss you, Ohio!